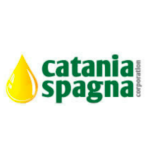 Catania Oils | Favorite Foods, Inc.
Catania Oils is a leading provider of conventional, Non-GMO Project verified and organic oils to the ingredients, foodservice and retail markets. Our product portfolio consists of a variety of different vegetable oils, olive oils and blended oils. Catania has an established global sourcing network to bring you high-quality oils from all over the world. Our state-of-the-art lab and SQF management system assure that you will be receiving the very best. Over 100 years and through four generations, Catania’s reputation for high-quality oils has inspired undying loyalty from employees and customers alike. When product quality, consistency and authenticity matter…trust Catania brands. In addition to the authentic oils we offer, we allocate significant time and energy to assisting and supporting our customers in managing their commodity risk. To that end, we help our customers to better understand the commodity risks unique to their specific business, and to provide timely advice on market factors, fundamentals, and industry news. Furthermore, we offer a wide array of contracting alternatives to our customers, and advise them on the use of these valuable tools. This is why Catania is a leading supplier to many national and regional brands. Give us a try. Our company’s roots date back to 1900 in the small village of San Pier Niceto, Sicily. Giuseppe Basile’s dream was to take his olive oil business from Sicily and establish it in the land of opportunity, America. Giuseppe set out to fulfill his dream at the turn of the 20th century moving to the United States with several barrels of olive oil and the hope of building a family business that would last for generations to come. Giuseppe lost his entire inventory during a storm as the ship he was on tossed and turned during the voyage to America. Giuseppe arrived at Ellis Island New York with no money and couldn’t speak any English. He eventually managed to move to Lynn, Massachusetts where he replaced his inventory and began packing oil as Basile Packing in a rented store. From the beginning, Giuseppe worked extremely hard filling dozens of cans of olive oil, and blended vegetable oil and olive oil. He would place them in a sack, throw it over his shoulder, and sell them door-to-door throughout his Italian neighborhood in Lynn. His reputation over the years for quality and customer service grew, and by the early 1930s, Giuseppe’s customer base had expanded outward into Boston’s North End and beyond. In 1933, when he was 15 years old, Giuseppe’s son Joseph and his brothers (Carmen and Frank) joined the business. Joseph would carry his inventory to school and would sell his oils house-to-house every afternoon. He worked diligently establishing his customer base and reputation in all areas in the Boston market. As the Basiles’ reputation for quality spread, the family began selling to Italian specialty stores as well as to Italian households, eventually earning enough money to buy not only a packing machine, but also a panel truck that permitted them to expand their route beyond the Boston area. While the Basiles had primarily sold their products to Italian patrons in the beginning, they began selling to a wide range of ethnic customers. When Giuseppe unexpectedly passed away in 1941, his son Joseph, who at the time was 24 years old, was tasked with the responsibility of leading the family business. Determined to fulfill his father’s legacy and dream, each day Joseph and his brothers would pack the oil, load up the truck and head out. With hard work and determination they eventually increased their customer base until their routes took them throughout the New England area as well as into New York State. In 1942, Joseph and Frank were drafted into the Army to join the war effort. Although he wrote home often and gave his mother and brother instructions to continue with the business, it was overwhelming and without his personal touch, the business deteriorated. As a result, his customers began to look elsewhere to buy their olive oils. On his return from the war, Joseph was resolved to continue his father’s dream. He began working together with his immediate family as well as with extended family members. They formed a partnership that would be known as Catania-Spagna. The company gradually re-established its reputation for quality and service. It grew with several new additional customers in the foodservice retail and industrial sectors. In 1945, the business operated from a packaging plant on Creighton Street in Cambridge, Massachusetts then eventually moved to a larger facility in 1948 to Fulton Street in Boston’s historic North End. By 1957, two of the three original partners decided to move on to different industries, and sold their shares of the business to Joseph. The business continued to expand to the point where Catania had outgrown its Boston location; at which point, Joseph made the decision to relocate to a larger facility in Somerville, Massachusetts. The 1960s brought a growing customer base that expanded to include many restaurants. These accounts began to request other grocery items such as canned tomatoes, pasta and peppers. Meeting these requests, Catania’s inventory expanded by offering additional foodservice distributor items. By the mid-1960s, Joseph’s children were all working for the company. The third generation of Basiles was following the footsteps of their father and grandfather. The third generation established themselves in production, blending oils, on the loading docks, and eventually working in sales. In the early 1970s the third generation took over the day-to-day operations of the business. In 1979, the decision was made to move away from all of the grocery items and to concentrate on the roots of the company, oils. As the grocery items were phased out, the family concentrated on procuring product from all over the world, and on packing olive and vegetable oils exclusively. From the 1970s until the late 1980s, the Somerville plant underwent numerous expansions. However, it became clear in the early 1990s that Catania had outgrown its space. So, the search began for a larger facility that would support growth over the next several decades. Finding the right building and location proved to be challenging. So much as that it was determined that the best option would be to build a facility on a site that had access to rail lines and enough land for future expansion. After a lengthy search, in 1993, construction began on our current state-of-the-art facility in Ayer, Massachusetts. Since relocating the business to Ayer in 1994, Catania has doubled its manufacturing facility, acquired a 100,000 sq. ft. distribution center across the street, doubled the size of its QA lab and recently doubled the railroad and bulk processing capacity to over 20 million lbs. These expansions very likely will carry Catania over the next several decades. In addition, the new facility boasts 10 fully automatic production lines packaging oils from small bottles to tank wagons. Adding to its growing capabilities, Catania operates a fleet of tank and box trucks, allowing it to service customers throughout the United States. From a young Italian immigrant selling olive oil door-to-door to a multi-million dollar global business, Catania Oils is still run by the direct descendants of Giuseppe Basile. His great-grandchildren are now hard at work, keeping the business growing and prospering in order to continue his dream and build on his legacy for many generations to come.